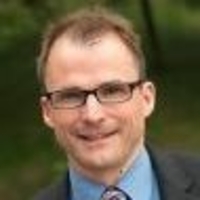 Thomas Meuer is ISC Conference Co-Chair and Managing Director of ISC Events. He holds a graduate degree in Business Administration from the University of Mannheim and is a Certified Information Systems Auditor (CISA). Prior to joining ISC Events in 2007, he spent over 10 years in IT Security, Consulting, Finance and Risk Management in various multinational companies, serving lastly as an IT Audit Manager at KPMG in Berlin.